You have probably all come across this picture before of the old witch… or is it a young lady… or is it a witch? 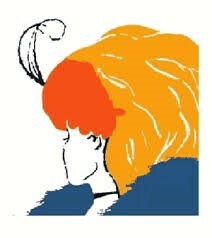 Some people see the young lady with the red hair looking away, while others see the witch with the crooked nose and long chin wearing a yellow headdress. Yet we are all looking at the same picture. In an almost reverse situation to the above, I find that few people look at financial planners and can distinguish between the “witch” and the “lady”. They therefore see 2 different pictures, but cannot distinguish that there is a big difference between the two. They say that you should never ask a butcher if his meat is any good; What do you expect him to say? Similarly, an article about financial planners and their worth in society probably weighs less coming from exactly such a person. For that reason I am not going to try and convince you today of the merits of a professional financial adviser. Hopefully there are a couple of people receiving this article who can testify to this. And if you have a look at some of the testimonies on our website, you will hopefully see that it is indeed the case. On the flipside of the coin, I would not have a hard time collecting stories of people who have had a horrible experience with a so-called financial adviser or of people who cannot see any value that this person has added to their lives. The purpose of today’s 2Cents is to help readers tell the lady apart from the witch when it comes to financial advisers. Let me start by admitting that I am not trying to purport with the distinction between the two, that on the one hand you have an adviser that has all the answers, who has complete foresight and never makes any mistake, while on the other hand, you have a crook who is out to steal your money. The distinction is unfortunately much more subtle than that and 90% of the difference is about incentives and intentions. Although the differences are subtle, the long term impact of your choice of adviser can have a CONSIDERABLE impact on your financial wellbeing. I only hear from my adviser when he wants to sell another product to me. I haven’t heard from him in almost 5 years. I get the feeling he acts in his own interest rather than in mine. He is not an expert in investments. He cannot advise me on a holistic basis, but rather concentrates on products. I do not have faith in his competence. He wants to sell more and more insurance to me while it seems like there are alternatives available. He can only sell the products of company X, Y and Z. So how do you find a capable and professional adviser? I wish that I could share a recipe that you can follow blindly, but because we work with people, there will always be exceptions to the rule. If, however, you want to catch a fish, it wouldn’t help to look for one in the desert. I will therefore give you an idea of where to “fish” if you want to better your chances of finding the right type of person/institution who can add considerable value to your future. The term policy “smous” may be a bit harsh… So I am going to use the old-fashioned term of Assurance Agent (AA) for the type of adviser who you probably want to avoid and Professional Financial Planner (PFP) for the adviser that you are trying to find. He probably approached you, rather than you him. He does not have any formal education/training in Finance except for a few sales training programs that he has completed through an insurance company. His previous occupation often has nothing to do with finances and he managed to enter the industry because the admission requirements were limited. You see him sporadically instead of on a regular basis and it is usually on your insistence or when he has a new product to introduce to you. He is very much product- and price-orientated, but spends little time on long term, holistic planning. Questions such as if you need any life insurance at all or how are you going to afford it when you retire are never asked. Although he has been in the industry for many years, he still earns more than 60% of his income in upfront commission i.e. from a sales process. He still takes upfront commission on investments, often without communicating or motivating it beforehand. He is not interested in your property investments or any other investments and focuses only on products that he recommended or for which he is appointed. His advice has an overall lack in numerical foundation. There is little mention of long term projections, annual investment performance measures or break-even analysis. His knowledge is limited to insurance products and he can only answer the most basic questions about trust legislation, estate duty, the valuation of property investments and other financial aspects. The relationship with him is often maintained due to a friendship that the person has built with you rather than you regarding him as an expert in his field. You do not see this person in the same light as you do an attorney or auditor. You probably called him based on a referral by someone else, not the other way around. He probably holds a Financial Degree and/or a CFP designation. He has probably been in a professional industry his whole life (such as an auditor or an attorney) or comes from a financial background if this was not his first career. He probably followed a formal process with you (probably the 6-step financial planning process as prescribed by the Financial Planning Institute) and revisions take place on an annual basis at scheduled times. These revisions may be electronic, depending on your service level agreement. Reviews are treated as a progress discussion rather than an opportunity to sell. He spends less time on product specific advice and concentrates more on the holistic picture and the long term feasibility of your plan. The product (if at all necessary) is the last link in the chain. He could be a one-man show, but is probably part of a bigger group of independent advisers who is not connected to a specific product provider. The business however follows a homogenous process and is managed according to strict corporate principles even though it might be a small business. He receives a salary or a large part of his earnings (more than 60%) is received from recurring fees instead of upfront commission. He probably does not ask upfront fees on investments, but is remunerated based only on an ongoing basis for sustained service and advice. In the exploration phase of the relationship he thoroughly questioned you on your assets & liabilities and planning objectives. He is also comfortable to discuss your property, finance, estate duty etc. given that it falls within the categories that he is licensed for. You may very well expect an invoice from him for time spent in the case where a service level agreement has not been reached after the analysis. They will seldom work for free in the hope that a product will be sold to pay for their time. His planning has a strong financial foundation and he regularly refers to projections, sustainability and long term value for money aspects. He has a broad general knowledge about financial aspects and can discuss all aspects of financial planning in a great deal of detail. It does not mean that he will not call on other professionals where necessary, but he has sufficient knowledge to know when external expertise is required. The person/institution’s reputation in the industry is not limited to one organisation he represents. Different role-players in the industry should be able to testify to the person’s/organisation’s credentials. His recommendations should be logical, and the function of his recommended products in your portfolio should be clear. Although interpersonal connection is important, your relationship with such a person should be more of a formal one than one based on friendship. You should get the impression that this person has had a formal professional education of some sorts that goes further than sales training. You probably see him in the same light as your auditor or attorney. As mentioned earlier, this is unfortunately not a recipe that applies to all. Although our opinion is that INDEPENDENT advice is the way to go, there are still “tied agents” who satisfy all the requirements of a true Professional Financial Planner and is per implication a true PFP. Conversely, there are well qualified independent advisers who conduct themselves like Insurance Agents, and is per implication nothing more. At the end of the day, it is integrity and competency that remains the most important decisive factors and not qualifications or independence and unfortunately it is not an easy task to determine whether your adviser possesses those qualities or not. Feel free to contact the author to share experiences that you may have had with advisers before, or if you have any questions about this article. Disclaimer: Although all possible care was taken in the drafting of this document, the factual correctness of the information contained herein cannot be guaranteed. This document does not constitute advice and anyone planning on taking any financial action based on this document, is strongly advised to first consult with their personal financial advisor. ProVérte Wealth & Risk Managementis an authorised financial service provider with FSP no. 5966.